Finding it too hard release the bolt on the MK IV? Volquartsen's extended bolt release gives you more surface area and deep serrations for easy thumb engagement. Will not fit on the 22/45 version of the Mark IV. The bolt release pad is CNC machined from 416 stainless and extends .050� further than the factory release. 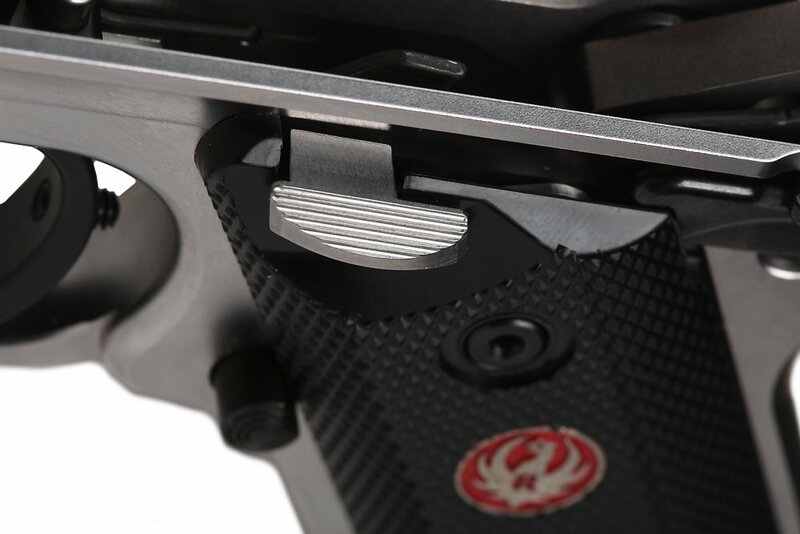 This .050� extension combined with the improved ergonomic flat design of this release is an improvement that every target shooter is looking for. Available in Stainless or Black finish.